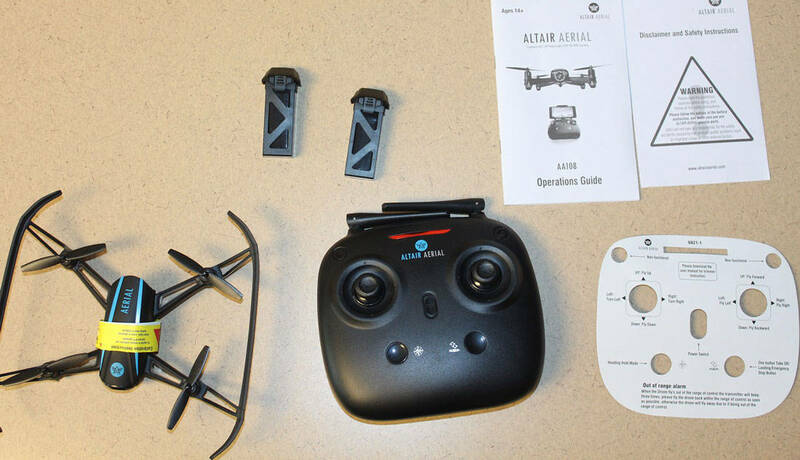 Altair AA108 Review - New toy grade drone bestseller ? Today we have a special treat for all of you wanting to get their hands on a brand-new toy drone. After a couple of calm months in this market section, we finally have a model worth checking out. I’m talking about Altair AA108 review, an interesting toy drone with a great set of features and nothing but a stellar overall performance. It’s not that pricey either. As a matter of fact, I’d say its somewhere among the middle ground as far as toy grade drones are concerned. What I am basically trying to say here is that Altair AA108 is a drone definitely worth checking out… and that’s exactly what we did! Feel free to read through the entire review and let us know your opinion on this awesome little birdie in the comment section down below! Before jumping to the details of Altair AA108, first let’s take a closer look at the market section its coming to. As I’ve already stated above, we are talking about a toy-grade drone that’s suitable for children of all ages as well as young adults. That’s because Altair AA108 is a beginner-friendly model with fluent (and above all – intuitive) controls and stable flight… But is that enough for it to break the ice with good starting sales? By looking at the toy grade quads section on Amazon, it’s pretty clear that there have been more than a few significant changes over last generation. Mainly, I am talking about the implementations of smart features (even though the term smart is trivial in its own manner) such as altitude hold and return to home. Some time ago, only premium GPS powered drones came with these, but it seems as though toy-grade manufacturers made cheaper versions of these features. They are not nearly as complex (or precise, for that matter) as their GPS-powered counterparts, but they still get the job done… in most cases. All in all – the consumers should be more than satisfied with the recent turn of events! As you can see above, Altair AA108 runs on a miniature 1S LiPo battery. However, since we are talking about an extremely lightweight drone (and a small one, for that matter), this 1 cell battery can still provide with decent torque and airtime. If we are to be more precise with our numbers, the official specs sheet claims up to 10 minutes of flight time. While that might be true for only flying, we measured slightly above 8 minutes while recording 720p footage. In other words, as far as flight time is concerned, Altair AA108 right on par with the best models in this price range. Yup, this miniature camera supports FPV as well. You see, Altair AA108 works perfectly with FlyingSee app (works with both Android and iOS devices). All you need to do is place your phone inside the controller mount and download the app. After that, connect your phone to camera’s WiFi network and you are good to go. This will allow you decent quality and responsiveness up to 75 feet or cca 22 meters. Not too bad for a WiFi FPV system on a drone that costs slightly over $100. As I’ve already mentioned above, there’s a whole revolution going on in the toy-drone market… at least when it comes to their respective features. You see, toy grade drones are usually silent feature-wise… up until this year when a whole bunch of “smart” toy drones came out. Among them is this one too, boasting with altitude hold and flight route options with a couple more standing In the shade. However, there’s no GPS involved meaning you won’t get the pinpoint accuracy it provides. Still, don’t think these features don’t work – they are actually well-versed and will come in handy more often than not. For a decent comparison revolving Altair AA108, I picked up the good old XK X250. This is an awesome, beginner-friendly drone with excellent durability and performance. It also has altitude hold and one-key-return functions, although I’d say they are at a much lower level than those on Altair AA108. As a matter of fact, altitude hold mode is only marketed for this model, but as far as I could tell – it’s not even implemented in the finished product. As far as performance goes, both of these models run on brushed motors and have roughly 8 to 10 minutes of flight time. 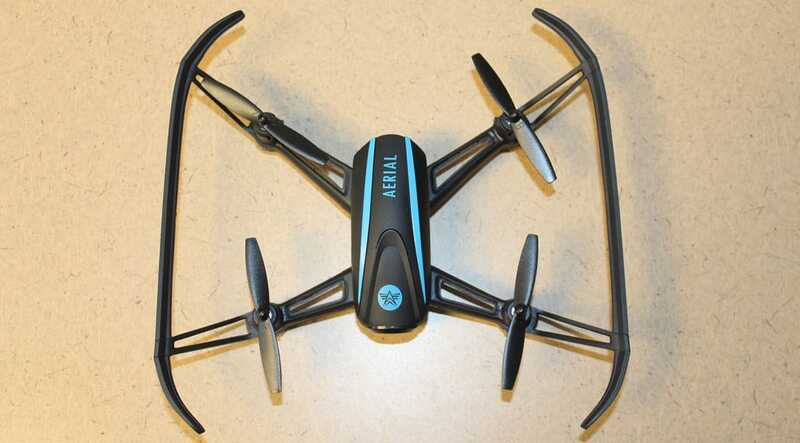 However, even though XK X250 is considered as an incredibly stable drone, Altair AA108 takes things up a notch. It delivers smooth, responsive flight, allowing you for easy controlling no matter the occasion. 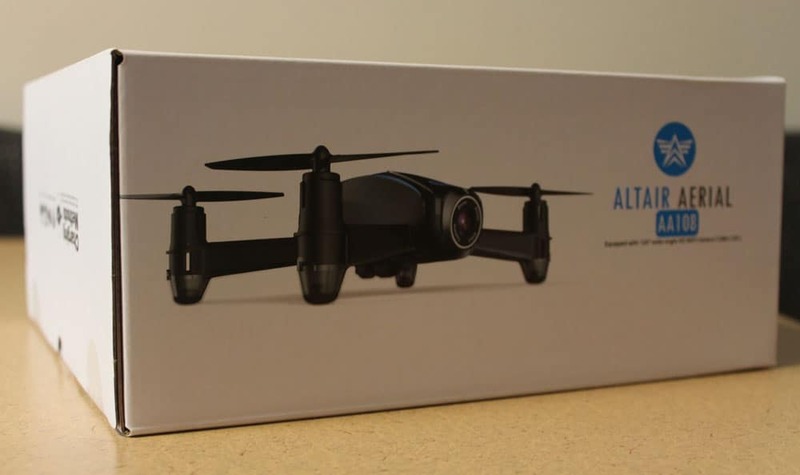 Considering the ever-growing toy-grade drone market is now in getting a ton of new models, I’ll dare to say Altair AA108 review is among the best of them. This simple birdie delivers exceptional performance across all departments and does so at an extremely affordable price. So, for all you looking to get their first quadcopter and want something that will get you craving for more, Altair AA108 seems to be the right way to go! Syma X5HW in depth review [+ video] : 2MP FPV camera and Altitude hold feature. 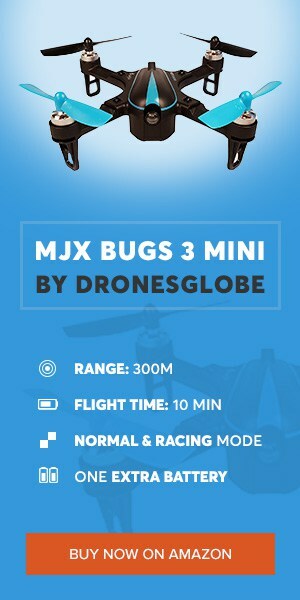 [Review] MJX X601H – cheapest drone with “autopilot” and altitude hold functions! So - how would the Altair compare with a Visuo XS809HW or similar? It seems like the Visuo is a better deal - it's bigger, fly's just as long or longer, has pretty much all the same features, looks like a Mavic and folds up. The Visou is also less than half the price. Why would the Altair be better? Or would it? 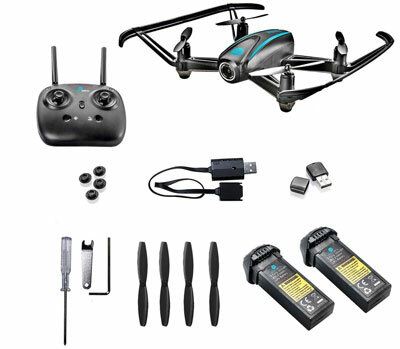 There are several small Eachine drones in this class that are way less expensive and also seem to have comparable features.